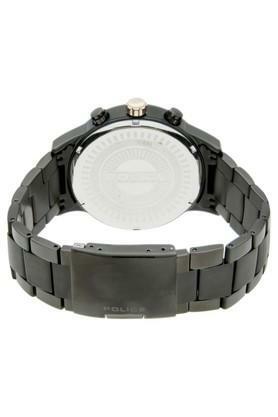 Fashion up your wrist with this chronograph watch and fetch compliments from everyone around. Its bracelet has been crafted with care using premium quality metal that lends it a nice finish. Besides, the round dial with stylish hands further accentuates its overall design. A melding of fine craftsmanship and contemporary style, this chronograph watch is brought to you by the coveted brand, Police.